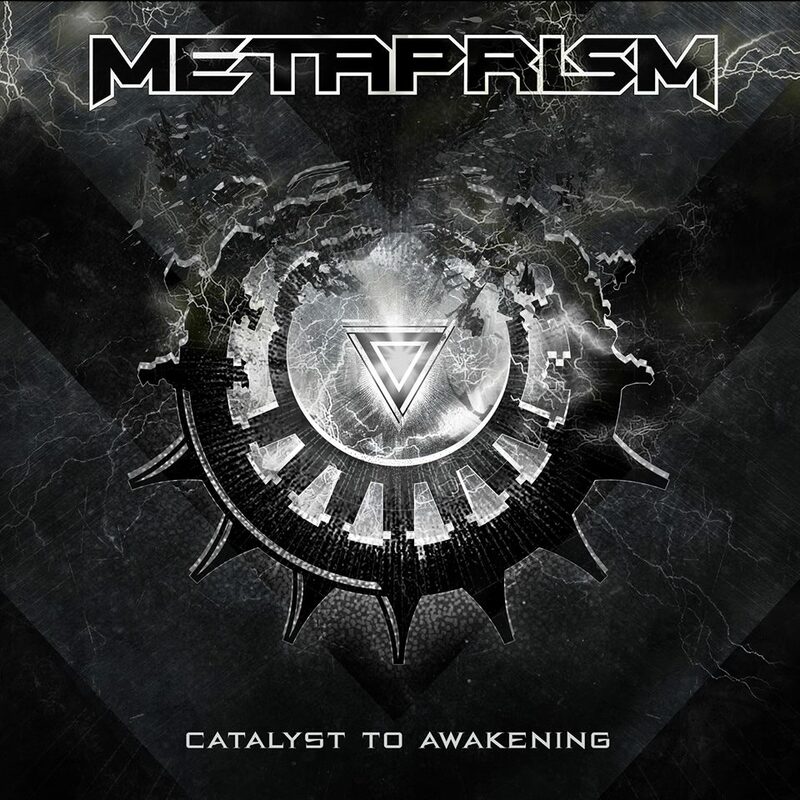 From the Southwest English city of Bournemouth comes a new hot Power Metal Act – Metaprism. The band was founded at the end of 2012 by guitarist Ollie Roberts. Together with singer Theresa Smith he has created the first songs for the self-titled debut EP. In 2015, the first album of the British was released with “The Human Encryption”. And in the same year they had a good memorable appearance at the Wacken Open Air, the world’s biggest Metal Festival. I was able to convince myself of the live qualities of the band last year. They opened the release show for Xandria at Bahnhof Pauli. Now the second album “Catalyst To Awakening” is in the starting blocks. In the press release you can read “The most exciting metal act that England has produced this millennium.” So let’s listen to the new album. The intro “The Awakening” is pleasingly short and hardly pathetic. With “Codex Regius” Metaprism then get rocking. Decisive are the banging guitar riffs, but especially the alternating vocals of Theresa Smith and Joey Draper. While Theresa sings in a powerful clear voice, her duet partner masters both the harsh growls and the slightly scratchy rock vocals. To “Unleash The Fire” was currently produced a video. And for “Incarcerate” Metaprism have invited guests, Marco Pastorino (Temperance) and Chiara Tricarico (Teodasia, ex-Temperance) ennoble this song. “Anomalous” is a two-piece, with a total length of just over 10 minutes. Megaprism addresses the dubious, sometimes frightening practice of treating pain in mentally ill patients with lobotomy, a brain surgery that can cause serious side effects. The second part “Ghost of Asylum” features a guitar solo by Timo Somers (Delain). “Aftermath is the resting point of the album. A heavenly beautiful power ballad. Here, too, Theresa and Joey excellent match as a singing duo. The final song “Catharsis” is no longer dewy. The corresponding video on Youtube dates back to the end of 2016. “Catalist To Awakening” was produced by Tony Lindgren (among others Dragonforce, Kreator or Angra). So it’s clear the album is powerfully produced. With the exception of “Aftermath” Metaprism give full throttle. But even the ballad does not slide into shallow fields. This is one of the first Power Metal firecrackers of the still young year 2018. Other bands will have to be measured by it. Back to the pithy marketing slogan. Whether Metaprism really is the most exciting Metal Act in England, everyone has to decide for themselves. But the band plays at least at the top. And through the support of the European tour of Iced Earth, they were almost ennobled.